So… what’s the deal with the verbal threshold? In New Jersey there are countless companies offering automobile insurance and countless types of automobile insurance plans those companies offer. Quite possibly the most important option to be aware of is called the Verbal or Limitation on Lawsuit Threshold option. Choosing this type of coverage drastically limits your ability to bring a lawsuit for injuries sustained in a New Jersey automobile accident. 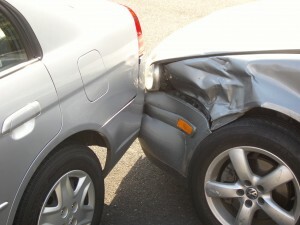 You should not choose this option if you want to maintain your rights to sue for your injuries. If you want to maintain your full rights to sue, you need to choose the zero threshold option. No one expects to get injured in a car accident, but it’s a reality. The problem is that the verbal threshold is generally cheaper than the zero threshold option, so many people choose it without thinking about it. The rubber generally hits the road with the last damage category – proving you have a permanent injury. The first five are easy to prove, the last one not so much. This is where neck and back injuries tend to hit the wall. It becomes difficult or expensive to get a doctor to provide the proper documentation to prove your case. This is where insurance companies will often succeed in obtaining a dismissal of a claim by a Judge before it reaches a jury, based only upon documents and medical reports. In short, injured claimants who are subject to the verbal threshold face an uphill battle unless they have obvious major injuries. If you’ve been in a car accident and want to protect your rights, call me at 201-598-5019 or email me directly at newjerseylawyernow@gmail.com for a free consultation. Posted in: Civil, Legal Definitions/Strategy, Personal Injury, Uncategorized | Tags: , Add new tag, auto insurance law, car accident lawsuit, car accident lawyer, car insurance, new jersey verbal threshold law, verbal threshold, what is verbal threshold? Superior info here, This is what i’m searching for. thanks, i’ve bookmark your website.